Charming and social, Venus in Libra and Mars in Gemini merge together seamlessly, creating a harmonious union of airy ease. This couple loves to spend time surrounded by friends, engaging in witty and intelligent conversation. They are probably known for throwing wonderful dinner parties, salons and gatherings, and thrive on all kinds of social interactions. Though their many similarities can bring them closer together, boredom is a possibility, so they may benefit from deliberately stirring things up from time to time. Venus in Libra is a true romantic, loving love above all else. Her diplomatic abilities and graceful nature make her popular to many. This Venus attracts with her charm and ability to create peaceful and pleasurable surroundings. She worships at the altar of beauty, innately understanding how to make anything, or anyone, just a little bit more pleasing to the eye. Venus placed in her home sign is confident in the realm of one-on-one relationships, knowing just what to do to keep the scales balanced. Mars in Gemini can talk his way into just about anything he wants. This Mars depends on flirtatious wordplay to express his desires. Energized by intelligence and communication, Mars in Gemini seeks out partners who can engage in witty interchanges and choice bon mots. For him, foreplay involves more talking than most of the Mars signs. Though he may run hot and cold, this sometimes fickle Mars is always intrigued by something new. Venus in Libra appreciates Mars in Gemini’s sense of humor and stellar social skills, finding his company the perfect match to her own charm. 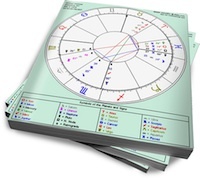 Mars in Gemini is attracted to Venus in Libra’s grace and easy manner. This couple just needs to ensure that their light and airy inclinations do not prevent them from exploring the emotional depths that keeps relationships interesting. Would this be similar to Mars Libra Venus Gemini in any way? @ G: No, cause Venus in Gemini – Mars in Libra is like TOTALLY vice versa. So true that Virgo and Libra are a match made in heaven since Libra is dominated by Virgo in the first place. On the other hand, it’s also nice to see the compatibility between Mars and Gemini thinking that Mars is an aggressive sign while Gemini is the more cunning one. Great article! True enough the Libras are most sociable person. Paired with Geminis, they can be the most dynamic couple in the room. Excellent article.